Why I read this book: Someone actually suggested to me on goodreads to read this book and I almost always read a book that's suggested to me. In all honesty, in chapters one through seven, I would give this book 3 stars at the most. I was very bored in the beginning of the book and it took me forever to actually get into it. But once I got to chapter seven, the book started changing, and got more exciting and it was hard for me to put the book down. So, I have to give it 5 stars. 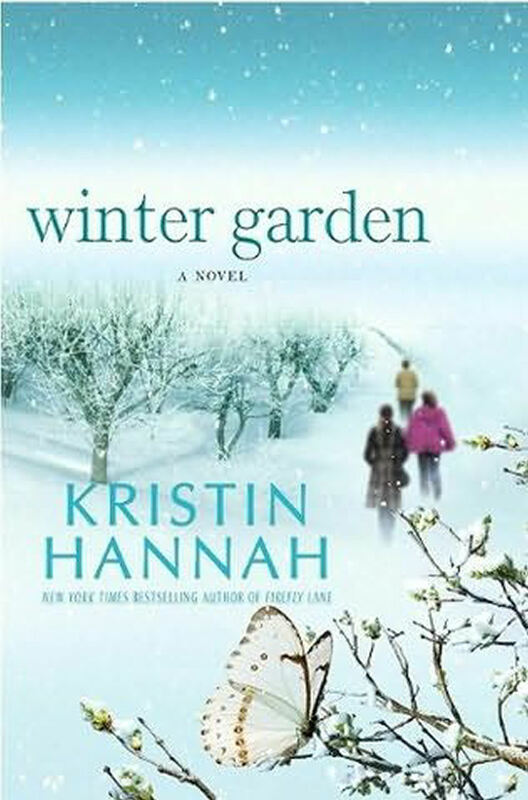 Winter Garden is about two sisters who never had a good relationship with their mother. They never felt that unconditional love that a mother gives, they felt as if their mother hated them, for whatever reason. The sister were very close with their father, however, and he became very ill. He asked his daughters to promise him while on his death bed, that they will try to get to know their mother while they still have the chance. To try to understand why she is the way that she is. Their mother talks about fairy tales quite often in this compelling story. While the two sisters were growing up, they would listen to bits and pieces of this fairy tale until one day they just stopped listening and stopped caring. For Nina, one of the daughters, she stopped listening when her mother refused to wave goodbye to her from the train platform when Nina was going on a trip when she was younger, and for Meredith, it was when her mother didn't show up for her play. These sisters didn't understand their mother at all, and didn't want to. But, they made a promise to their dying father that they would learn everything they could about her. So, this story is about forgiveness, finding yourself, friendship, and the many emotional outcomes life has to offer. The reason I felt that the first 6-7 chapters were boring is because it wasn't really telling the story. It was just dry, boring 'information' for a lack of a better word. But once Chapter 7 comes, the story changes and get extremely exciting. With the fairy tales, it's like you're reading a story within a story. But the full on fairytale didn't come until after chapter 7. That's when it was hard for me to put the book down. Winter Garden will leave you feeling so many different emotions. You will feel bored, happy, sad, excited, you will feel heartbroken, but wanting more. You will laugh, and you will cry, you will be shocked, surprised, and the ending is amazing. Kristin Hannah makes you feel exactly what the characters are feeling in her ever powering explanations through out the book, especially when the fairy tale is being told. I highly recommend this book to everyone. It's a must read and if you haven't read it yet, I suggest you add it to your "To Be Read" list! I promise, you won't be disappointed! Thanks for sharing the Review On Winter Garden by Kristin Hannah. I found it interesting and will order my copy today. This sounds really interesting! I have a friend who keeps telling me I should give Kristin Hannah a try! This sounds great! I have Kristin Hannah's Firefly Lane sitting on my shelf at home, but this one sounds good too!